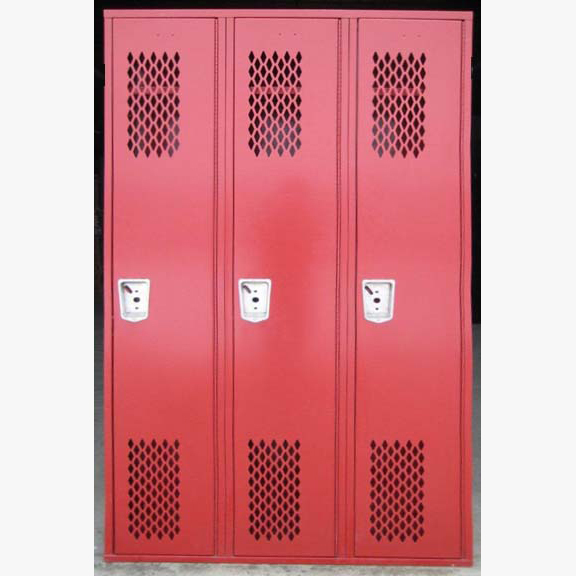 These Red Single Tier Lockers are available on www.buyusedlockers.com where they have a huge selection to choose from if we need additional supplies. 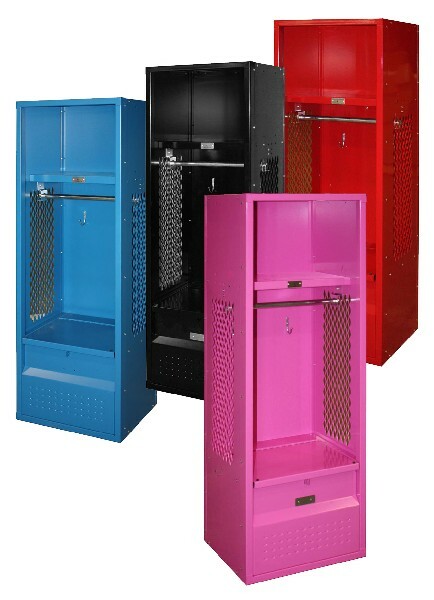 We only have a few of these brand new heavy duty single tier lockers available for purchase at a discounted price to help clear out our inventory! 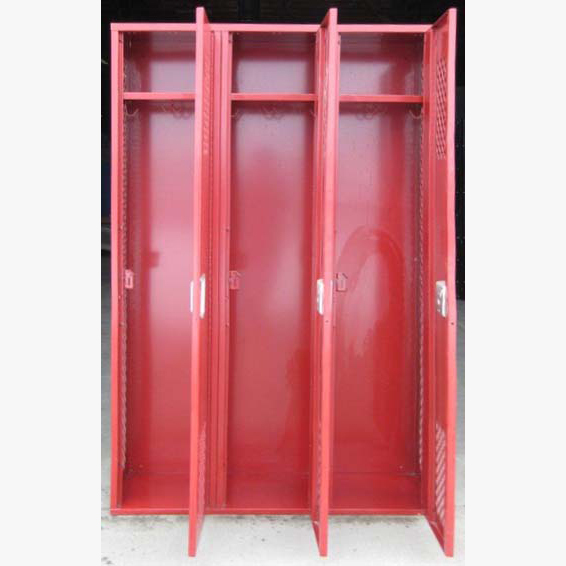 Built to last with 16 gauge steel bodies and 14 gauge doors, and then painted a bright red color with a long lasting, scratch resistant powder coat finish. 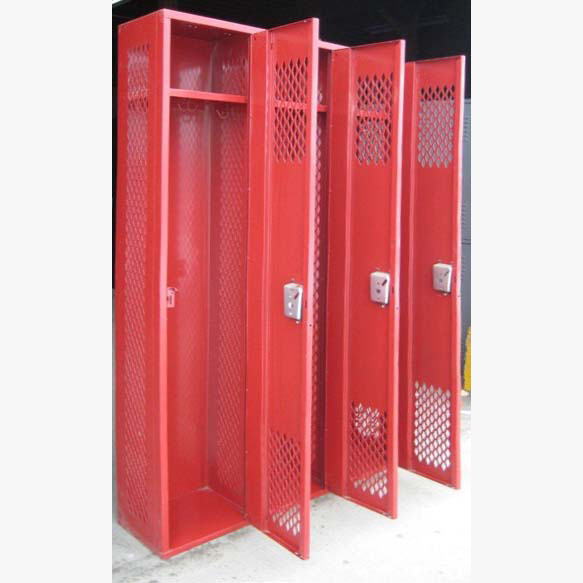 Each locker measures 15” wide x 12” deep x 72” high and includes 6” legs, making the overall height 78”. 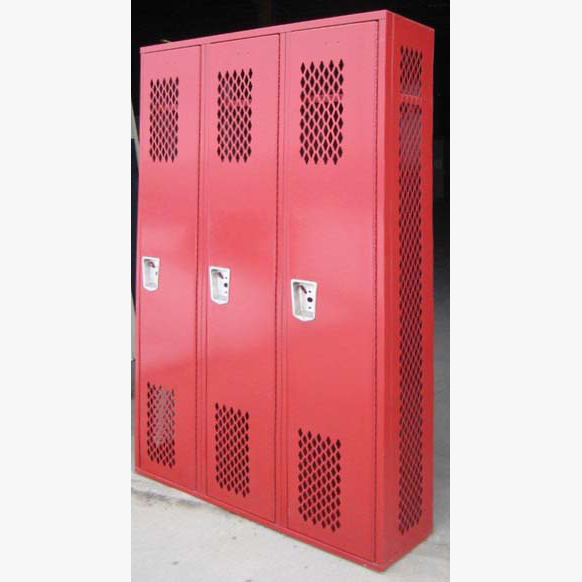 Features include an interior shelf with clothing hooks to maximize storage efficiency, and ventilated doors and side panels to promote air flow, minimize odors, and allow for visual inspection of locker contents. Recessed handles come padlock ready, or you can add built-in key or combination locks or electronic locks for added security. Call today before they’re gone!